There are many written languages: French, English, German, Russian, each with a proud heritage and some common roots, their own nuances of meaning and intonation. Some share common alphabets, such as our own Roman one, whilst others use different strokes of the brush: cyrillic, Thai script, Mandarin. Our own languages are living, evolving, whilst others, like latin, are said to be dead: fossilised between the strata of old school textbooks and medical jargon. The ancient Egyptians used hieroglyphs, often direct representations of meaning, but all written text has an aesthetic, even representational quality. To me, Thai script flows and curves, a softness and organic origin that somehow fits the culture. Russian cyrillic script is harder, more angular: it somehow seems to capture the sense of an industrial and hard cast heritage. Long harsh winters and queues for bread. Of course, these perceptions are culturally defined, as i barely notice the aesthetics of my own and most familiar alphabet. We talk about font ‘foundries‘, reminiscent of the places where iron ore is crushed, baked, refined and hammered into shape: a legacy i guess of times when fonts were quite literally cast in iron. Or carved in wood at any rate. The Dutch have a strong heritage in founding fonts: some from as early as the fifteenth and sixteenth centuries. In our own alphabet, we are spoilt for choice, with innumerable fonts available, from the much maligned ‘comic sans‘ to the more dignified Helvetica, which i notice has a film just out in tribute of it’s austere effectiveness. We often think of written languages as capturing words and committing them to paper, but that’s not all they can do. There are other written languages too, serving different purposes. Electrical diagrams are a form of language, with their own grammar, alphabet and structure. They are drawn according to rules. 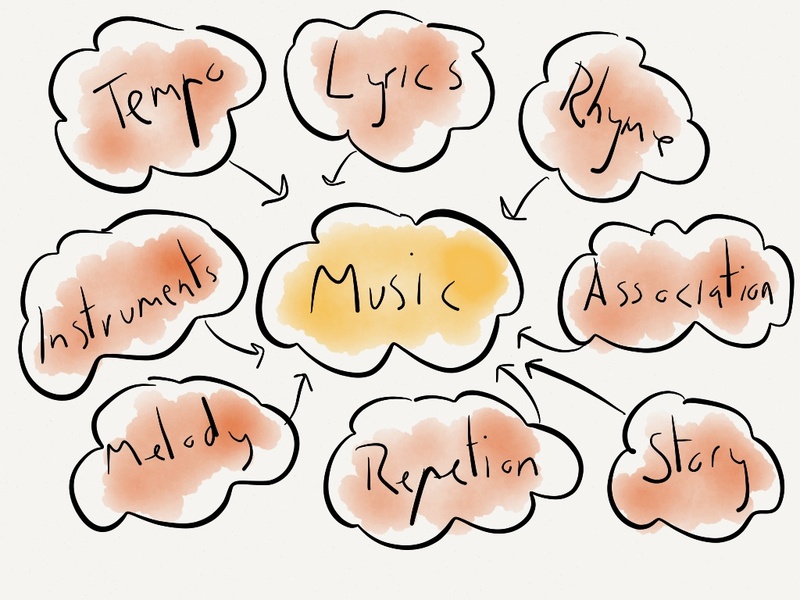 Music too has it’s own notation: lines, curves, notes as capturing and committing the sounds to paper. And dance: dance has a language too, the language of choreography. It was a surprise to me when i first realised this, i suppose because i’d never thought about it. I never made the connection between dancers on the stage, dynamic performances created in the moment, and the written language that captures those moves for posterity, to train the next generation. But there it is: represented by it’s own unique alphabet, it’s own punctuation and grammar, it’s own tone of voice. The movement of the human body embodied in text. The relationship between language and performance is fascinating: language creates a series of frames for performance to occur within. Two dancers can work to the same choreography, yet deliver two entirely different performances. Similarly, two people can read the same piece of poetry, and yet fail to deliver the same engagement: just listen to Dylan Thomas reading his texts in a monotone that nevertheless represents the meaning in more ways that simple words convey. Language captures meaning, but it’s the intonation, tempo, voice and delivery that creates the colour and nuance. Similarly, the notation of dance may create the spaces, but it’s the performance, in the moment, that creates the magic. But magic there is: why choreography, you may ask? It’s a word i use a lot, because in the Social Age, we need to focus not simply on the text, on the written language, on the frames, but rather on the choreography and performance. Engagement used to be assured, because we owned peoples time and effort. In the old world, we told them what was good for them and when to do it. Most organisational learning works like this. But in the Social Age, our experiences are discretionary: we make choices, we have more choices. So the performance needs to be better. It’s not enough to simply create the frames, instead we have to deliver great experiences. Experiences that are meaningful, that help people to be better, to do better, that help organisations to be agile, to adapt, to change. 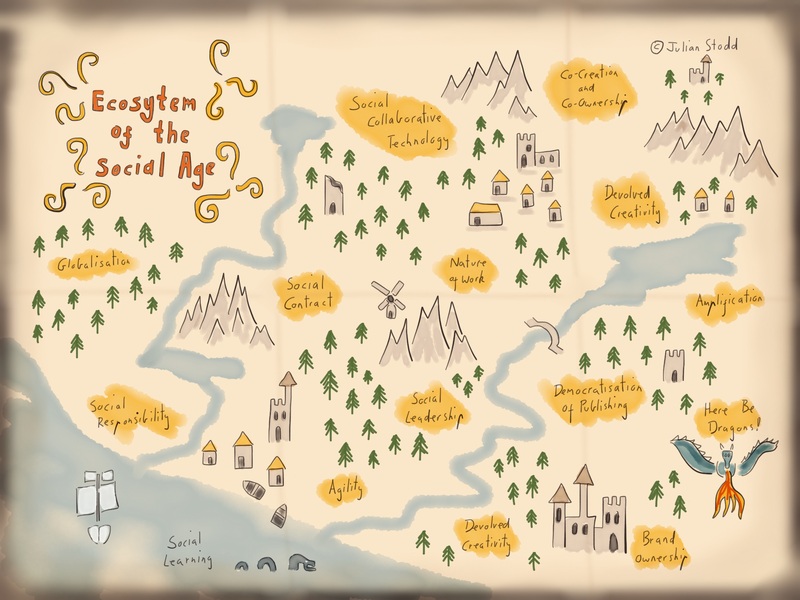 The choreography of learning and change in the Social Age is holistic and all inclusive, and runs from start to finish. It’s the equivalent of the very best retail or entertainment experience and it’s that good by design, not accident. If you’ve ever bought an iPad in and Apple store, you’ll know this: they choreograph everything. Giving you the product on the shop floor, taking you to a table, where they ask you to open it, letting you unwrap and unveil it, letting you peel away each sequential layer of packaging, each designed to deliver both an aesthetic and tactile experience. They don’t just pull it out of the box themselves to complete the setup, which would be quicker, because they recognise the importance of choreography. Many experiences we have everyday are choreographed: from a visit to the theatre or a music gig to our trip to the supermarket, but some are more successful than others. Great choreography does not happen by accident: it’s an act of design and rehearsal. 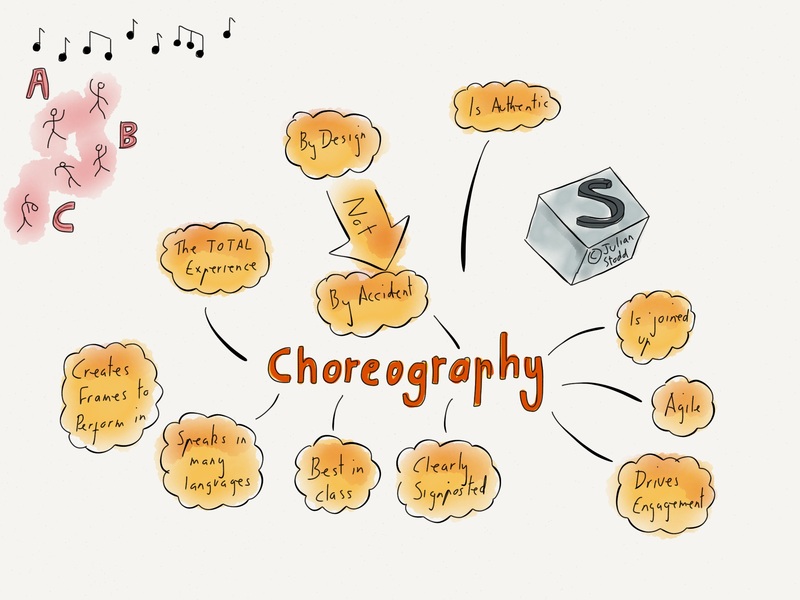 So consider this; the elements of great choreography. We need authentic communication: not writing by committee. And we need it to embed ‘relationship‘ values, not simply transactional ones. Every element of learning should be choreographed: the very first email you receive, the invitation, logging into a system for the first time, arriving at a venue, submitting work, taking assessments, rehearsing, sharing, joining communities, creating narratives, finishing courses, being supported, every single part of this journey needs to be mapped out, sequenced, designed, choreographed. And not just choreographed, but agile too: designed now, but adapted for later. That’s how it works with performance: it’s evolutionary. Regular readers will know that i’m a huge Flaming Lips fan, the Oklahoma indie band on a seemingly perpetual world tour. Last night, the lead singer, Wayne Coyne, tweeted that they’d done what he considered to be their best ever rendition of ‘Do You Realise‘. The best ever. A song they must have played a thousand times, yet this time, this performance, had somehow evolved, had somehow resonated on a whole new level. How much of this pride, this achievement, this choreography and performance factors into our mindset around learning? Plan everything: because everything forms part of the performance. The very first emails we send to delegates shouldn’t read like a set of instructions: rather, they should be an invitation to adventure. Look at how films choreography the experience. I saw a poster for a new film starting Dwayne ‘The Rock‘, Johnson. In the poster, he’s sporting a helmet, sat in a helicopter, wearing a uniform, clearly an emergency service worker. In the background, skyscrapers catch fire and crumble and a women can be seen running, holding the hand of a child. The film is called ‘San Andreas‘. And from that alone, i get everything i need to know. I can literally see the film playing out: Dwayne with his family, off to work with a kiss on the cheek, flying over the city when the earthquake strikes. The desperate search for his family, the acrobatics and fires, the moment of loss, the final resolution. You can be pretty sure the kid survives. Contrast that with how we usually choreography learning: on Tuesday you are required to attend training in this room, at this time. Wear this. Complete this first. Buy a cheap ticket to get there. Do it because we tell you to. When you arrive, it’s coffee, biscuits and someone with a PowerPoint presentation. Does anyone believe that that’s good enough? Choreography is about not just the transactional movement, but rather about the performance. Every aspect of communication and experience. Why? Not because we are trying to create a blockbuster, but rather because we are striving for engagement, for attention, to create an environment for learning. Learning has changed: in the Social Age, it’s about co-creation, about joint ownership of the message, about creating spaces and permissions for rehearsal and performance. Learning is spread out over time, surrounded by community, supported by technology and tools, delivered when we need it, where we need it. It’s not longer enough to create it once and deliver it many times: rather we need to create the structure, but co-create the experience each and every time, through performance in the moment. Through great choreography and authentic performance. Take a look at the BASF Creator Space: it’s about collaboration. A public facing space for you to join industry experts and co-create a story and solutions to society wide problems. It’s a curated space, semi formal, but outside the direct control of the organisation. It provides structure and permission to engage. It’s still about learning, still about development, very much about change, but it’s presented in a very Social Age way: not learning against a formal curriculum, not learning ‘delivered‘ or ‘done‘ to people, but rather an open and honest dialogue. We can learn from this: one of the core skills of the Social Age is questioning. Question everything. 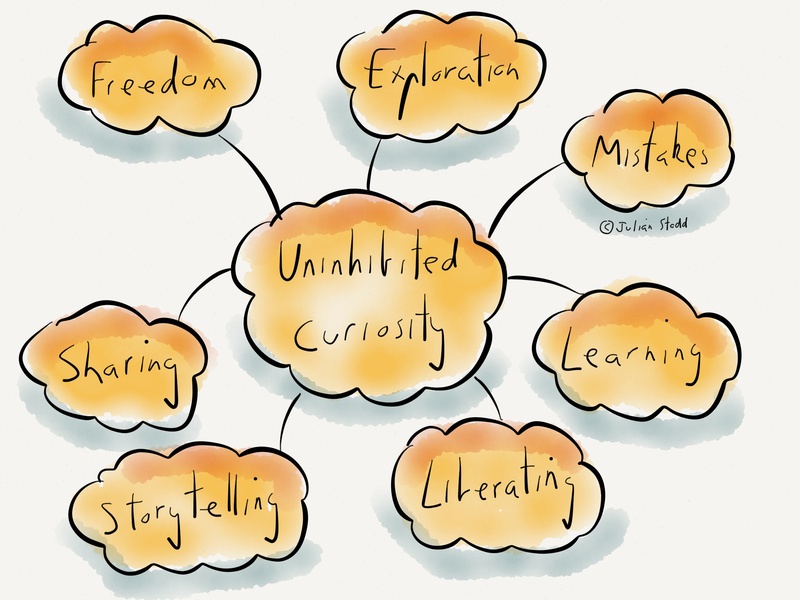 Uninhibited curiosity to ask ‘why?‘. We don’t have to design learning like we used to and, indeed, if we want engagement, if we want to effect change, we can’t design learning like we used to, because it simply won’t work. Similarly, if we want the organisation to be agile, we have to design in that agility: we have to choreograph the experience and make it excellent. It won’t happen by accident, it will only happen through careful design, through prototyping, through rehearsal and constant adaptation. I’ve talked before about the evolving roles of Learning and IT: the need for them to become facilitating. This is what it means. It’s not about designing solutions once and delivering them many times, but rather about creating spaces, choreographing experiences and producing multiple narratives as they play out, then using those narratives to learn ourselves. 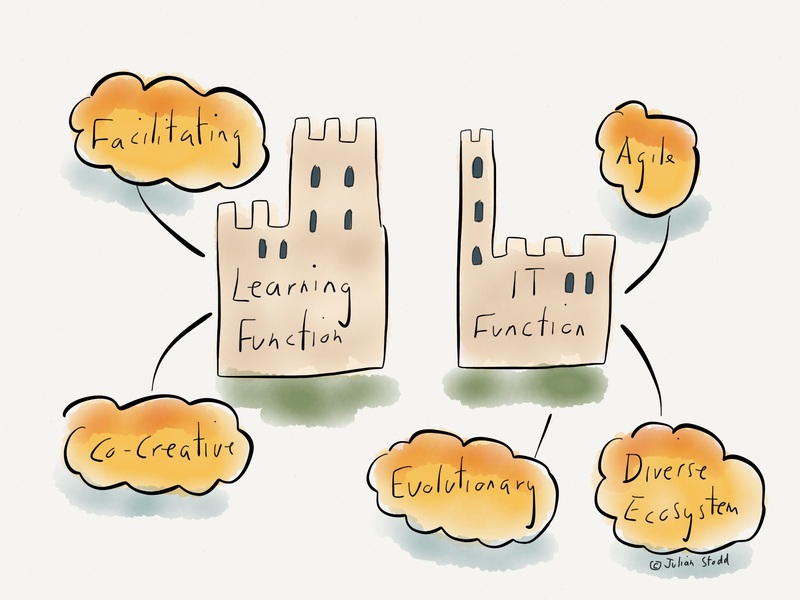 Evolution over time, facilitated by the learners as much as by the organisation. There are many languages, but it’s the poet that creates the image in our mind, it’s the dancer who actually performs. Structure and language alone won’t deliver what we need: choreography and performance of every element, at every level, is what will make us agile, what will make us effective. It’s what we need to do to be fit for the Social Age. This entry was posted in Choreography and tagged apple, Choreography, Communication, Creativity, Dance, English, Language, Longreads, Made With Paper, Notation, Performance, Social Age, Social Learning. Bookmark the permalink.